Walking into Henri’s, you’ll be greeted by the owner, Pierre Vosloo, and his staff, who will treat you like guests in their own home. 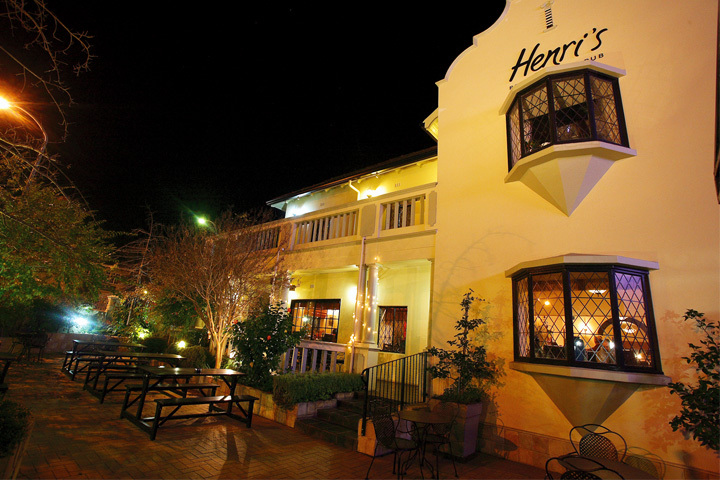 Henri’s is conveniently situated on Somerset West Main Road in a heritage house that has been renovated into a spacious contemporary restaurant. The top floor has been renovated and can be used for private functions.They are well known for their aged grass-fed beef as well as the freshest local seafood. 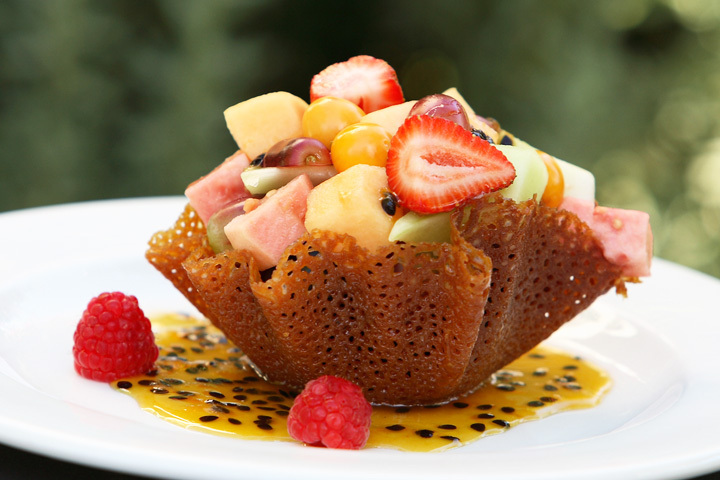 The menu can be described as comfort food with a modern global influence. 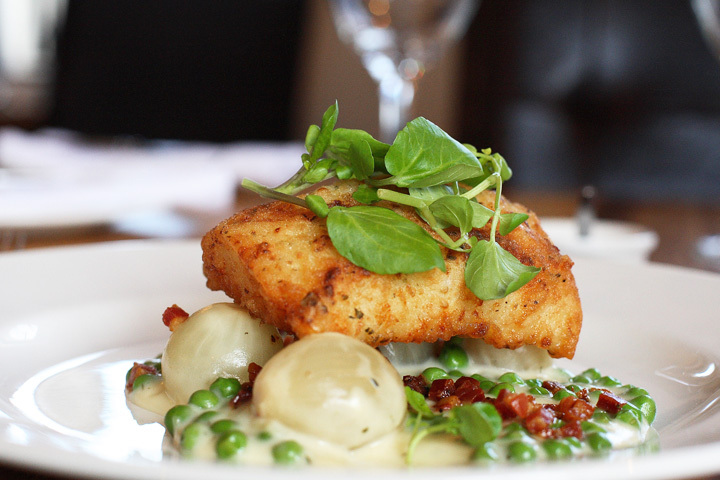 Henri’s offers a light lunch menu during the day and also has a kiddies menu. There is a wood fired oven, where they bake great tasting thin-based pizza. Henri’s offer their patrons a complimentary focaccia per table. You can also enjoy a drink on their patio or at their stylish bar. Henri’s offer a wide selection of craft and imported beers. The wine list is quite substantial and offers a variety of wine by the glass, but patrons are welcome to bring their own wine, as Henri’s doesn’t charge corkage. 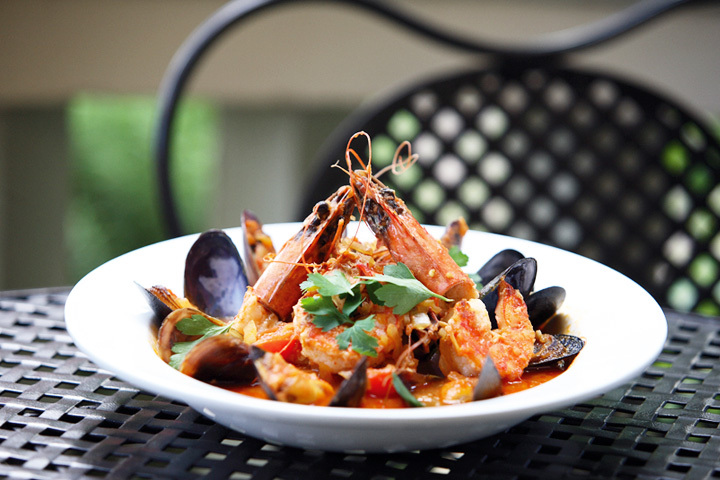 Once you have discovered Henri’s Restaurant & Pub you will be back (and back again)! Henri’s is open Monday to Saturday from 12noon till late. Weeknight Bistro is what this place is. 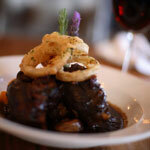 A favourite in Somerset West for serving heartwarming dishes with a bit of finesse. This is the place you go to for a large lamb shank. Its old restaurant pub style. We had another great meal at Henris and the secret to the success of this restaurant is consistency as we have never been disappointed with our meals at Henris. My wife had the Burger which was recommended by our local Butcher who also frequents Henris and she was extremely impressed with the quality of the meat on the burger and thoroughly enjoyed her meal! We will be back!